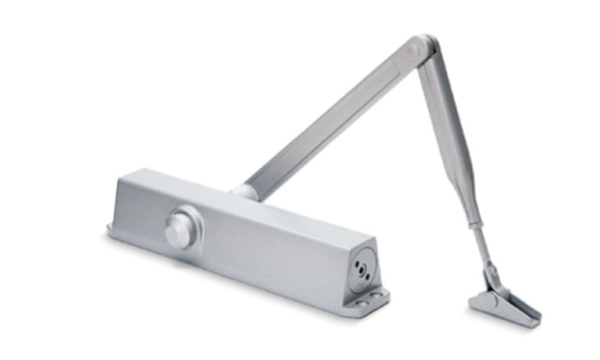 Hydraulic Door Closers - NHN Series - Kenwa Trading Corporation, a specialist in door hardware and various door closing solutions. Closing Force – Adjustable to EN1154 size 2-4 for 83V, size 3-6 for 85V and size 6-7 for 87V. Back Check – Provides a cushioning effect when the door is forcibly thrown open but does not serve as a substitute for a door stop. Standard Finishes – Sliver, Dark Brown or Gold. Other finished on request available. Guarantee – A free replacement ex-works if any closer proved defective by reason either of faulty manufacture or defect in materials. The position indicated by figure ‘A’ is the standard postion of the eccentric shoe. By turning the show 180deg. the position shown in figure ‘B’, the door closing force increases about 25% just before the door closes (during last 10deg.). Turn the spring adjusting screw clockwise the required number of turns to match the door width as indicated in the chart. Where strong draft resistance exists increase the spring power as needed.